The first World Tour of the 2019 FIA-certified Gran Turismo Championships will be held in Paris, March 15-17. After a successful debut for the FIA-certified Gran Turismo Championships in 2018, the 2019 season is about to begin! Some of the top competitors from the 2018 World Final will be competing at the Gabriel Pavillon in the French capital this weekend. Tune in this Saturday at 6:00 PM (CET) to watch the Manufacturer Series LIVE and on Sunday at 2:00 PM (CET) for the Nations Cup LIVE from Paris. 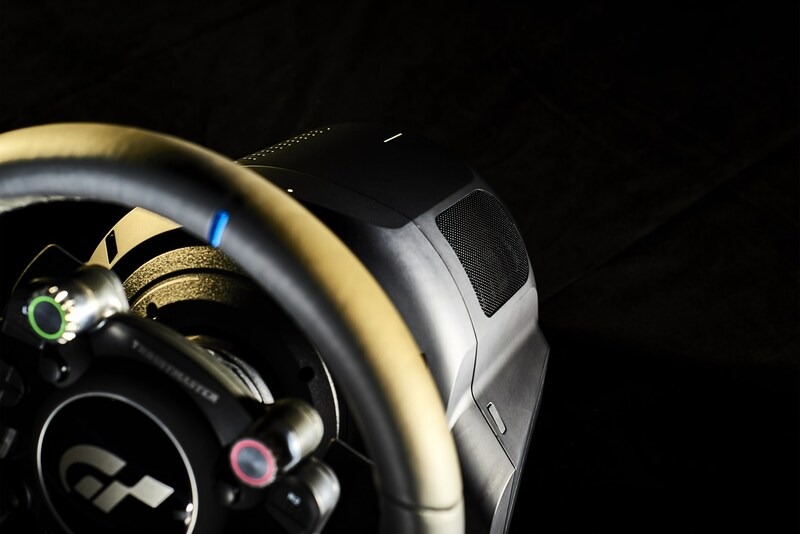 The Thrustmaster T-GT is the official steering wheel for GT Sport and will be used throughout the 2019 Championships. Best of luck to the two Thrustmaster sponsored drivers who will be participating in this event: Nicolas Rubilar and JT Lauro. Lewis Hamilton meets Kazunori Yamauchi in front of Gran Turismo Sport. The 3 times F1 World Champion sets reference lap times. Check out the video here ! 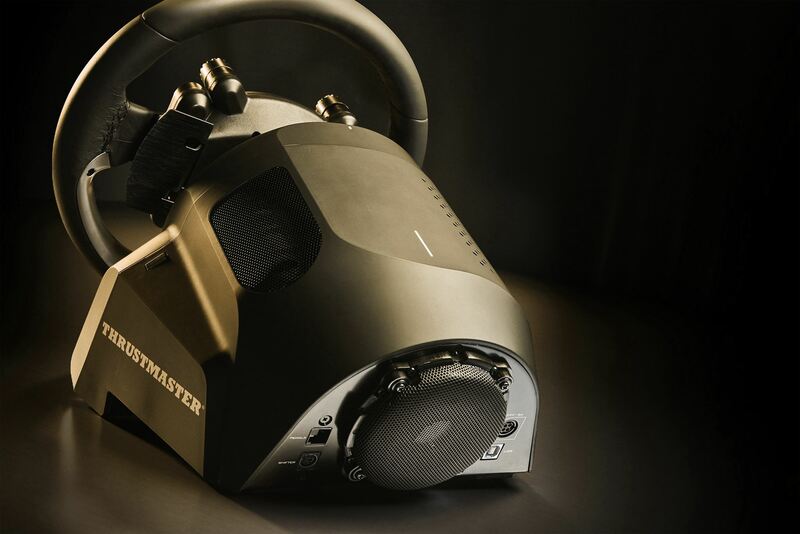 Thrustmaster T-GT ensures Force Feedback LINEARITY. The force felt by the user is 100% proportional to the force determined in the game. 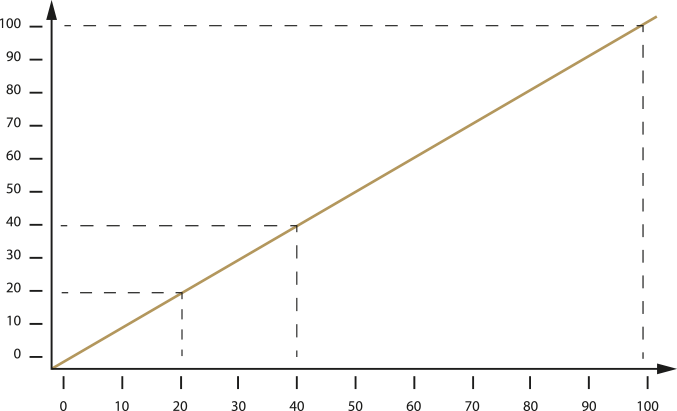 A car's behavior and track conditions are faithfully reproduced, with more details and dynamics (+50%). The Thrustmaster's ambition for this motor was high: DYNAMIC TORQUE. The motor must not only be powerful; it must be swifter, and deliver faster and stronger (if required) responses to racers, based on the newly-developed linearity concept, T-LIN. Field-Oriented Control with Hall Effect technology: Thrustmaster's patented technology identifies the racing wheel's position with the utmost precision and provides unrivaled accuracy. Thanks to its precision and the use of the optimized F.O.C. algorithm, the motor responds dynamically and swiftly to increased torque requests, while switching and reducing power drops. H.E.A.R.T (HallEffect AccuRate Technology - U.S. patent number 8,920,240) provides 16-bit resolution (65,536 values), while the new F.O.C. (Field-Oriented Control) algorithm dynamically optimizes the response to intense torque demands. An external power supply... but what a power supply! Bespoke hardware, once again. When designing the T-GT, an external power supply soon became an obvious choice: it needed to deliver constant power and massive peak power to instantly respond to ultra-fast requests from the game rendered by the T-LIN and T-40VE during game phases such as power drifts or multiple zigzags. Toroidal-shaped for optimized power efficiency of 86% (with just 14% heat generation), with a finless design. 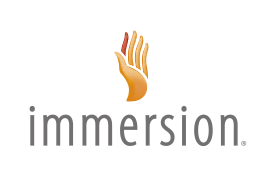 Years of collaboration with Polyphony Digital have resulted in the creation of in-depth sensations in the steering column. Combining the brushless motor's refined Force Feedback with this Depth Feedback creates a realistic 3D perception of the environment. Adding suspension and vibration effects via the steering column gives drivers more information with which to analyze and experience a car's behavior and physics, and therefore anticipate and instantly react to track conditions. Thrustmaster was able to add a second level of effects for Gran Turismo Sport. This racing Wheel combines 2 Force Feedback systems, based on the exclusive T-40VE motor with the new T-MCE cooling system. A fine and smooth-textured leather has been selected to facilitate drifting maneuvers, inspired by the racing wheels on real sports cars. The leather's sewing pattern has been specially designed so as not to be felt by the driver, while the wrapping style has been designed to ensure maximum comfort, especially for the driver's thumbs, during long hours of racing. 12 positions with push button for extra responsiveness when selecting settings in real time while racing. For intuitive, quick access in navigation menus and extra control over progressive settings. • The force felt by the user is 100% proportional to the force determinated in the game. • Cars' behavior and track conditions are faithfully reproduced with more details and dynamics. • 40-watt Linear brushless Force Feedback and incredible velocity (dynamic torque) from long stall curves (STALL mode) to super-responsive zigzags (DYNAMIC mode). 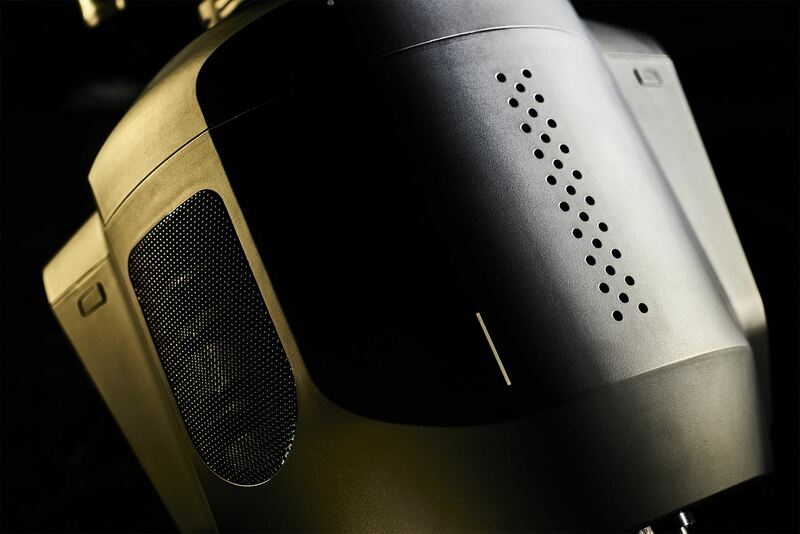 • Motor-Cooling Embedded system* to maintain linearity and dynamics with the new T-40VE motor. ** Compared to Thrustmaster Force Feedback steering wheels of current range. • New F.O.C (Field-Oriented Control) algorithm for dynamic optimization of the response to intense torque demands. • Toroidal-shaped turbo power for optimized power efficiency of 86% (with just 14% heat generation), with a finless design. • Peak power: 400 watts. • Exclusive for GT Sport and for future Gran Turismo games. • Combination of the brushless motor's refined Force Feedback with Depth Feedback for a realistic 3D perception of the environment. • Added suspension and vibration effects via the steering column for more information about cars' behavior and physics, plus more sensations. • Improved anticipation and instant reaction to track conditions. Metal inner structure with long range of travel. Brake pedal with progressive-resistance conical rubber brake mod. Accelerator and clutch pedals adjustable in height and spacing. Improved weight-balanced base for enhanced stability in long gaming sessions. PC compatibility not tested nor endorsed by Sony Interactive Entertainment. Thrustmaster® is a registered trademark of Guillemot Corporation S.A. All other trademarks and brand names are hereby acknowledged and are the property of their respective owners. Photos and illustrations not binding. Contents, design and specifications are subject to change without notice and may vary from one country to another.